Pretty amazing stone, don’t think I could bring myself to cu it! NICE!!!!! If you get tired of it, send it to me. Beautiful stone, James. I was just sitting here imagining how you will cut this stone, (if you do). Do you use a thin kerf blade since the material is relatively soft, say softer than jasper? I am leaving it at a specimen. And it is far from soft. The name silicated chrysocolla is misleading since it is not really a chrysocolla. 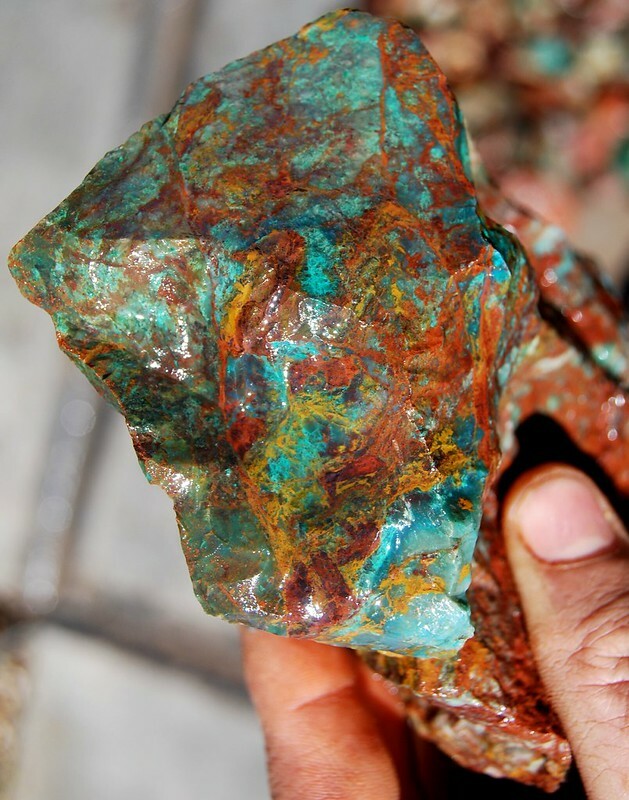 Silicated chrysocolla refers to chalcedony colored with copper salts. So it is considerably harder than true chrysocolla. Yowza! I'd have to cut a piece off the back if it was my only one. Maybe get cabs and a specimen to keep. I always rationalize that by saying I'm just cutting a base on it so the specimen stands up better... .